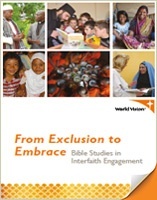 In this series of studies, Dr. Moucarry, World Vision’s Director of Interfaith Relations, provides guidance on what the Bible says about relating to those from different religious, cultural, socioeconomic, and other backgrounds. In too many impoverished communities, cultural norms in parenting aren’t built around the transformative love of Christ, and churches don’t focus on kids—or aren’t equipped to teach them in ways they can understand. 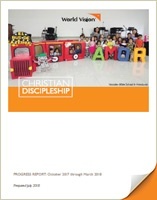 World Vision has been working with parents and churches for decades—providing training, resources, and support that help children learn and grow in their relationship with Jesus. The Spirit of God is moving, bringing new life into local church ministries. 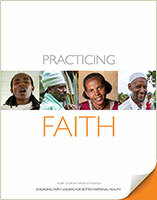 Thank you for partnering in this work that God has entrusted to us. 420,128 people benefited from ministry activities in fiscal year 2017. 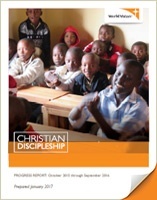 Your partnership with World Vision makes this all possible. Thank you for your commitment to sharing the gospel throughout the world. 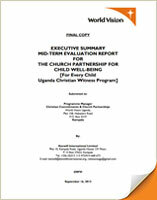 The Church Partnership for Child Well-being (CPCWB) project is a five-year intervention that commenced in October 2010. 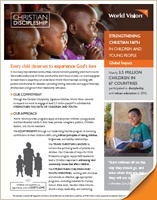 The project is funded by World Vision U.S. 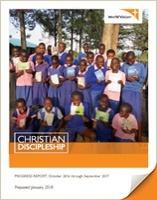 The project’s overall purpose is to support churches to focus on the well-being of children and engage in community development and spiritual nurture of children. 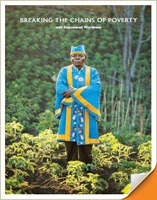 The project is the first of its kind within the World Vision international partnership.